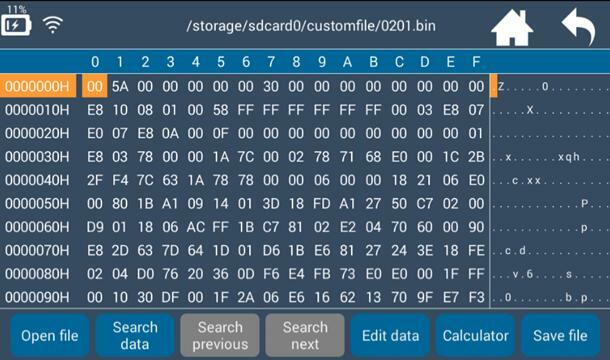 Lonsdor K518ISE key programmer updated to require Hex Editor, many of our customers ask this question, that is how to update Lonsdor K518ISE K518 Hex Editor? 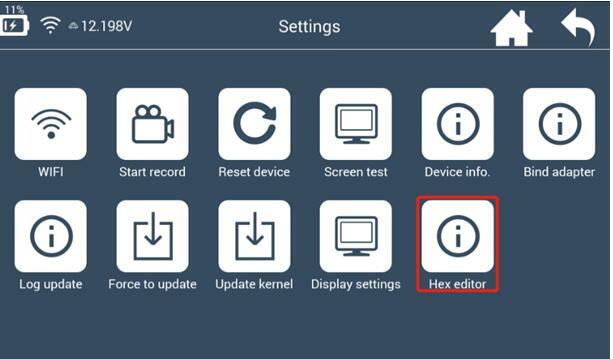 in this article, Nandrepair.com will introduce the update manual for Hex Editor, you can check as follows. 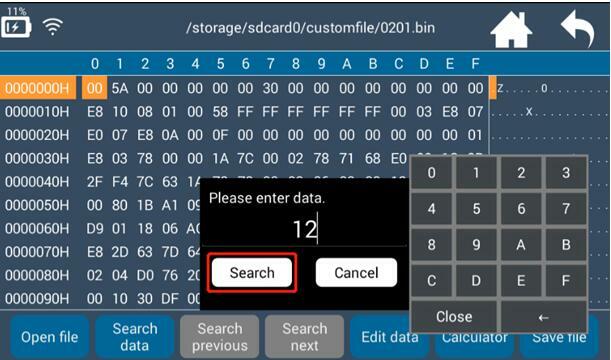 Enter lonsdor k518ise k518 key programmer home screen, Choose-> settings. Checking ->settings menu, choose-> Hex editor. 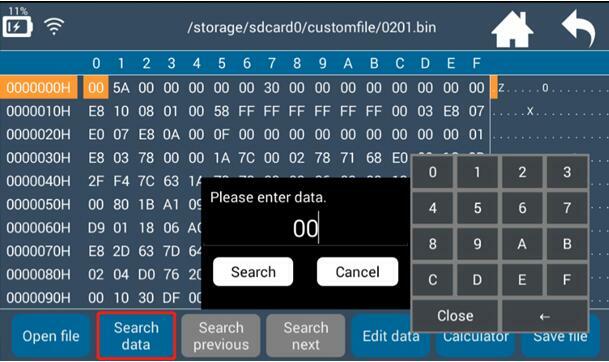 -> Hex editor interface: You can only click->Open file-< and -> Calculator-<. Other grey buttons are unclickable when no file is read. Please open file first before further operations. 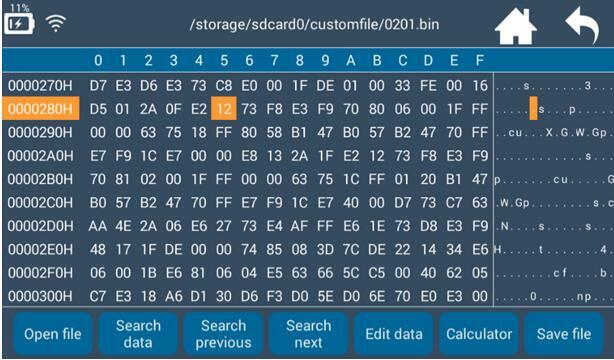 Click -> Open file-< nand select right path to store the file. Refer to below pics. Click“Search data”, and prompt “Please input data to be searched”. Then input the data and click“Search”. Default values is on where the cursor. Click number to input data. Click “←” to delete data. Click “close” to close the keypad. Stop searching data: Please click “Cancel”. 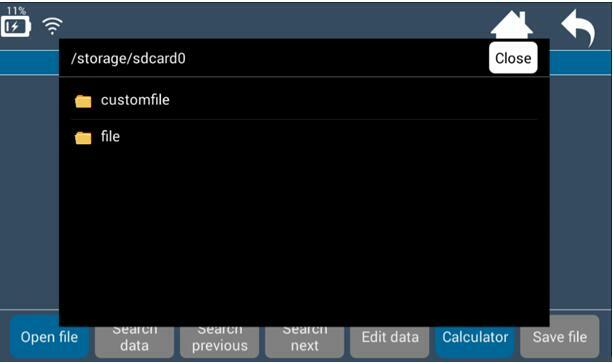 Start to search data: please click“Search”, and the cursor will skip to corresponding data as shown below. For example: If you input No. 12, and click“Search”. The data you’re searching is highlighted as shown below. After searching the data,“Search previous”and“Search next”buttons will turn to blue and clickable. Click“Search previous”or“Search next”, and you will find previous or next same data.